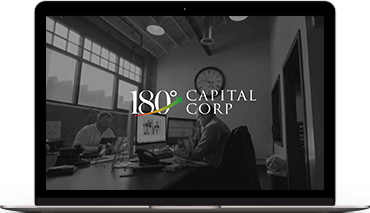 180 Degree Capital Corp. is an internally managed investment company. We are overseen by our Board of Directors and managed by our officers and have no external investment advisor. 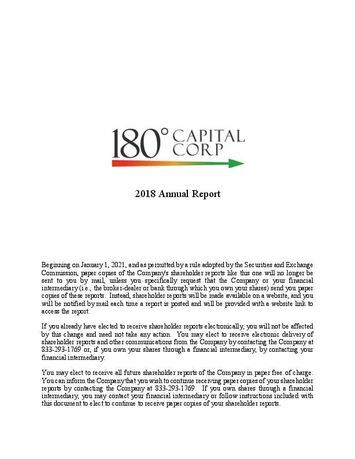 We are focused on generating capital appreciation and current income from investments in what we believe are deeply undervalued, small publicly traded companies where we believe we can positively impact the business and valuation through constructive activism. We believe we combine new perspectives with the historical knowledge and experience of managing the current portfolio. We believe these complementary sets of experiences and skills in investment management and in working with management teams to build businesses can be a foundation for future growth. We believe we will be able to generate income and grow net asset value per share for shareholders over shorter, more predictable timeframes than we have experienced historically.